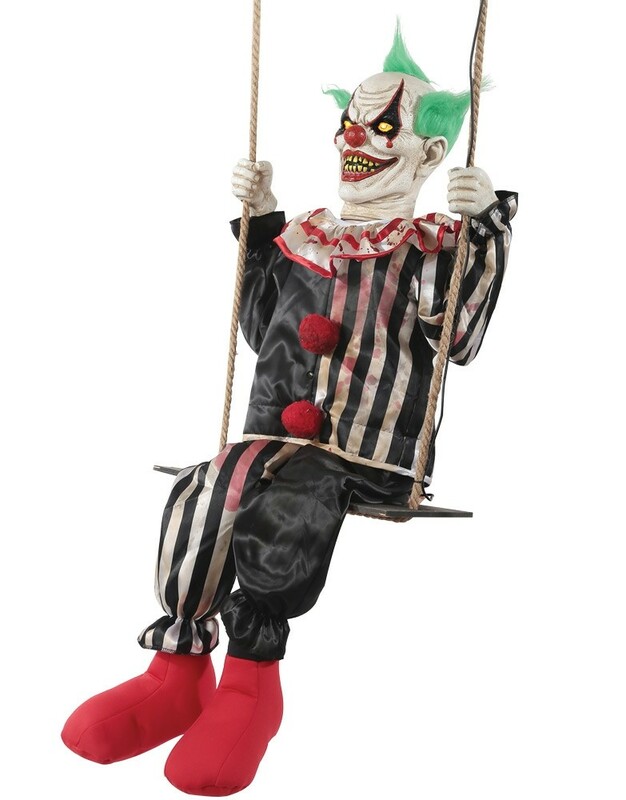 This creepy swinging Chuckles clown doll prop features a head with eerie glowing eyes that turns from side-to-side and speaks haunting phrases to all passersby, while he swings back and forth on his swing. Choose from Steady-On or Infra-Red Sensor activation options to operate. The infra-red sensor works up to 6.5 feet away and works in all lighting conditions - bright light to no light! Includes volume control. Assembly is required. Materials: Polyester, PVC, Sponge, Plastic, Hemp rope, electronics. UL power cord is included. 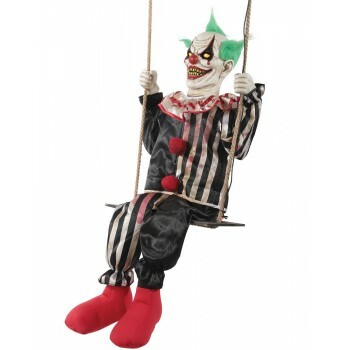 For indoor or covered porch use only.